Should be in SG last week. Anyone seen it in retail stores yet? . Can't wait to get it to replace all my current SFX PSU!! 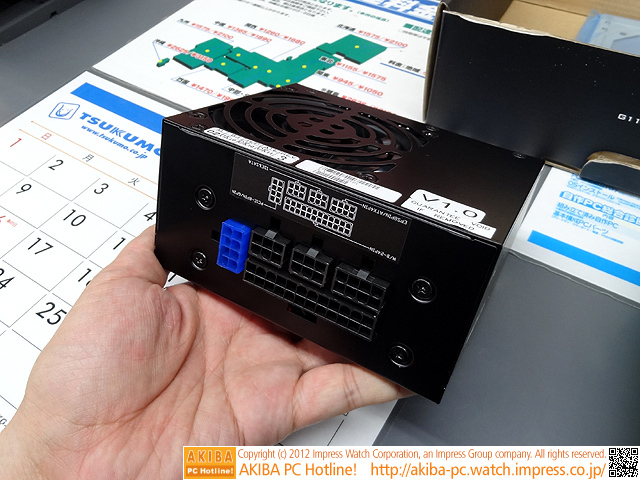 Visit Hardware Arena for ITX Updates! | Join the ITX Community on FaceBook!!! Beyond Geek Facebook Page - Support us! will provide enough power for a mainstream gpu like 560/660?? throw in that 80mm fan filter from silverstone and this is gold. no more dust in that psu. It really depends on what are you powering up. 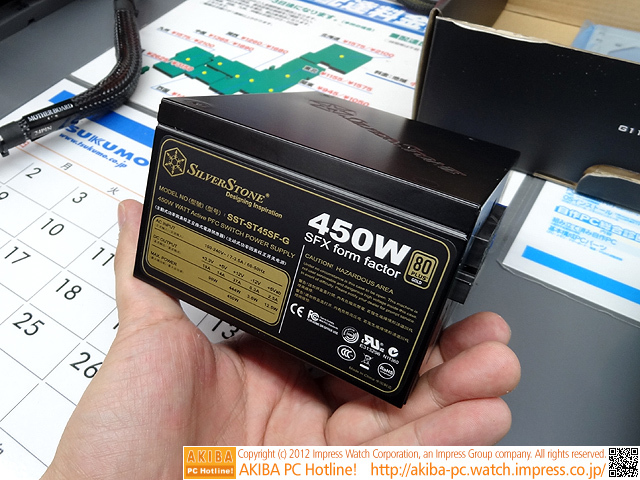 If you are talking about if this 450watt vs 560 can provide the same clean power to power up your components that only takes up 400watt, then yes. Components are getting more power efficient these days. 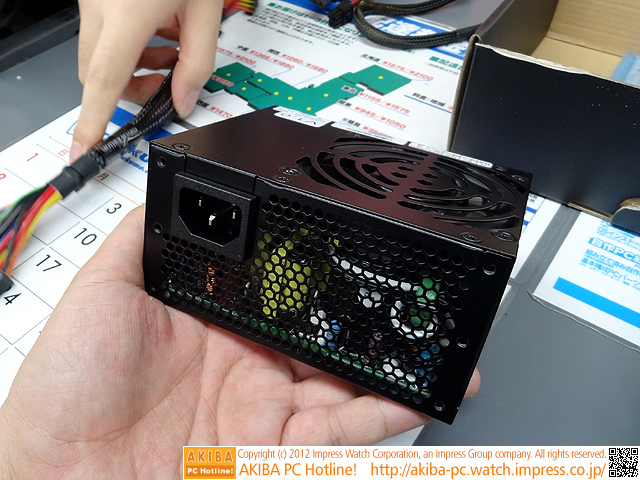 The requirement for high wattage power supply is getting lower. 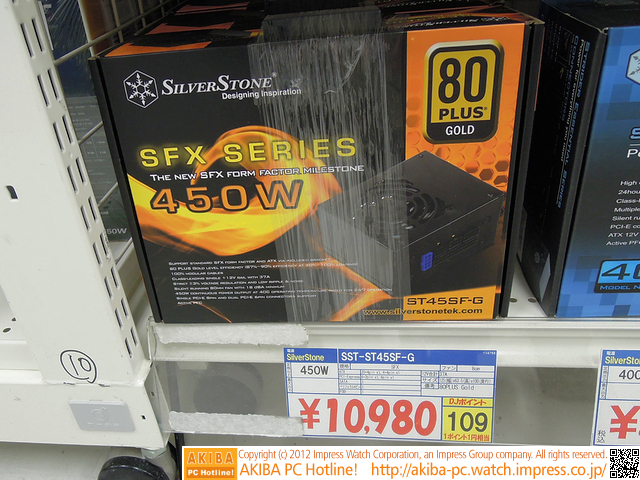 Right now it's all about high efficiency PSU. This seemed odd... the main reason to go SFX is to shrink in size & fit into a small chassis. The bundled of cables seemed awefully too long for a small chassis. Those who work with small chassis will now, shorter cables is better. Longer cables isn't always good. The cables seemed totally out of place, could potentially post problem in a snug fit in a tiny chassis situation. On the contrary, I worked with quite abit of small casing and find long cables more useful. Reason is simple - I can route the cables around the case. 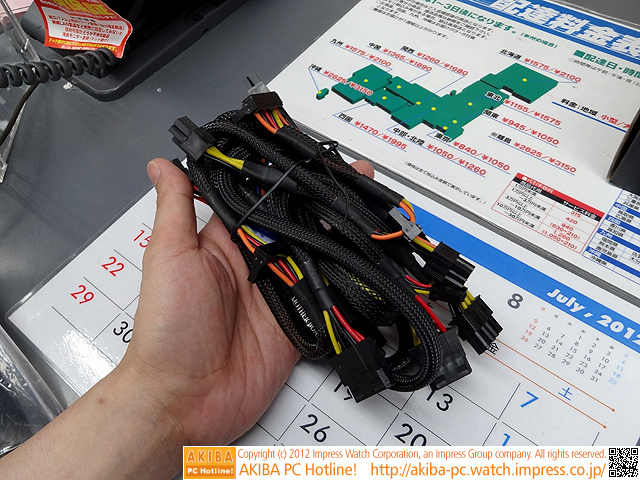 If you have short cables and place the cables directly across components, it'll affect airflow. So bottom line, long cables is def more useful. Besides, if you really need a short cable, just mod the length. You can mod from long to short anyways, not the other way round. was waiting and waiting for this.. end up giving up the idea FT-03 mini + this SFX modular PSU. Time to change a new casing then! I find Silverstone fan filters a bit coarse. 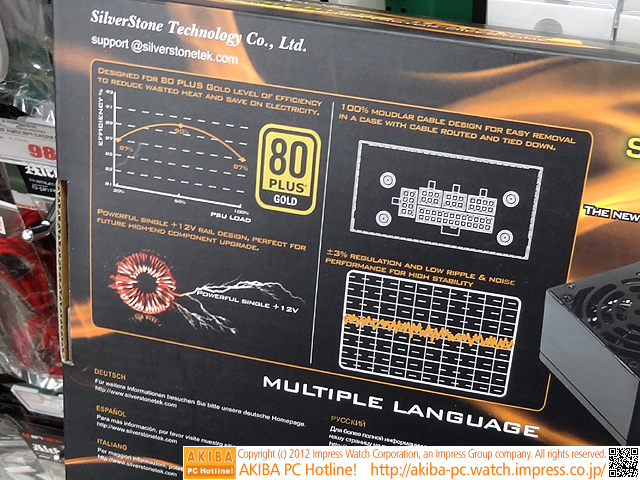 I'm getting dust on my PSU even though it's fan doesn't even so much as twitch in my PS07. Never tried the other brand but that one seems to be more fine and would serve to block out more dust. It is better to remain silent and be taken as a fool, than to speak and prove your ignorance beyond doubt. Stock arrived. Available at Cybermind today. Long awaited. Finally it arrives. Thanks Jerry for helping. Ryzen R3 1300X, Asrock X370 Killer SLi,Gigabyte Aorus Rx580 XTR 8G, CoolerMaster V1200 Platinum, Corsair LPX 2x8GB 3200, Samsung 850EVO 120GB SSD, 1TB SATA3 3.5" WD Black HDD, FD Arc 2 Mini Chassis. i5-6600K, Asus Maximus XI Hero, Zotac GTX 1070 Amp Extreme, CM V850W Gold, 4x4GB Kingston HyperX Predator DDR4-3000, 250GB Samsung 850EVO SSD, 256GB Samsung 840Pro SSD, 2T SATA3 3.5" WD Black HDD, Phantek P400 TG ATX chassis. Asus K43SJ, i5-2410M, 2x4GB Strontium DDR3-1333, 128GB SATA3 Crucial M4 SSD. i5-6100, Asus Maximus VIII Hero, 2x4GBKingston Hyper Fury DDR4-2400, Samsung 830 128GB SSD, 500GB Seagate SATA3 2.5" HDD, Antec ISK 110 chassis.